Sorry, students only! Put an end to unwanted visitors or late night trespassers. 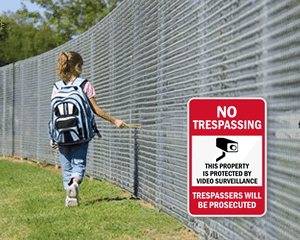 Prevent property destruction by hanging No Trespassing or No Loitering Signs and enhance your school's security program. Warn against unauthorized use of your grounds with our vivid messages. • Remind people that trespassers will be prosecuted. 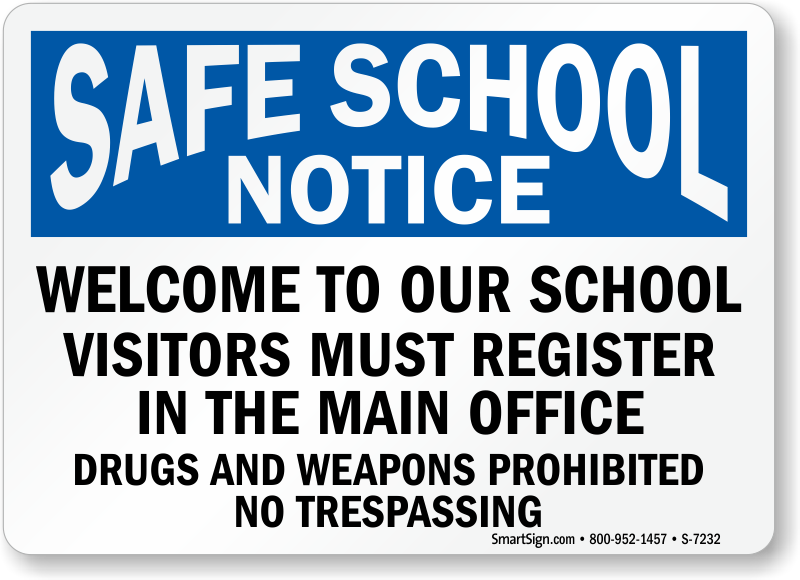 • Prevent non-students from treating your school like a public park with No Loitering signs. • Scroll down to view more product details.